At A Noble Sweep, we specialize in chimney cap installation in the Greater New Orleans area. 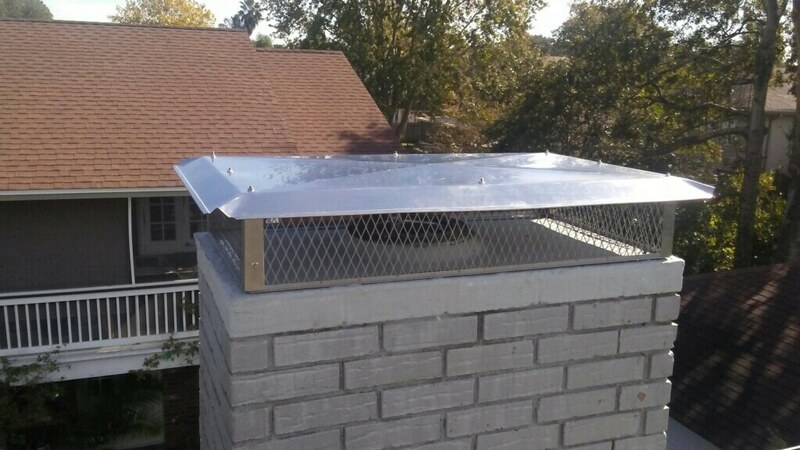 Chimney caps, also called rain covers or flue guards, are probably the most inexpensive preventative chimney solution that you can employ to prevent water penetrations and damage to your chimney. Without a chimney cap, you essentially have a hole in your roof. Usually made out of stainless steel or copper, a chimney cap serves to keep water, leaves, debris and animals out of your chimney. Debris like leaves and twigs can cause chimney fires, so chimney cap installation is a good safety feature for your home. Not only do chimney caps prevent debris from getting into your chimney, they also prevent embers from your flue chamber from getting onto your roof. Consider chimney cap installation to avoid house fires and roof damage. Chimney cap installation is a particularly good idea during the months when you don’t use your chimney since this is the time when animals like to nest in your chimney.